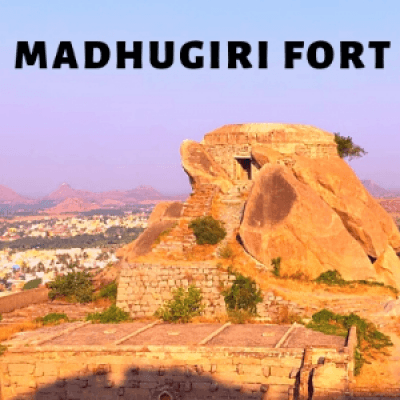 Hike to Madhugiri, the second largest monolith in Asia. Standing at an height of around 1200 meters, the hillock has ruins of an ancient fort and also offers some beautiful views of the surrounding hills which makes it one of the best weekend destinations to explore around Bengaluru. Board the bus, get to know fellow travelers and leave Bengaluru by around 6.30 AM. Note: This is a no-frills trip to a relatively remote place, therefore, food will be basic. In case you are not able to join the trip you have booked & cancel your tickets at least 2 days before the day of the trek, you can always choose to join any of our future trips within 1 year of the trip date without taking a refund. No cancellations charges will be charged in this case. If cancellations are made within 0-2 days before the start date of the trip, 45% of total trip cost will be charged as cancellation fees. A minimum of 7 members required to confirm the event. In case of lesser than 7 members, full refund will be done or you can choose to join any of our future treks. In case of unforeseen weather conditions or government restrictions, certain activities may be cancelled and in such case we will try our best to provide an alternate feasible activity. However no refund will be provided for the same.